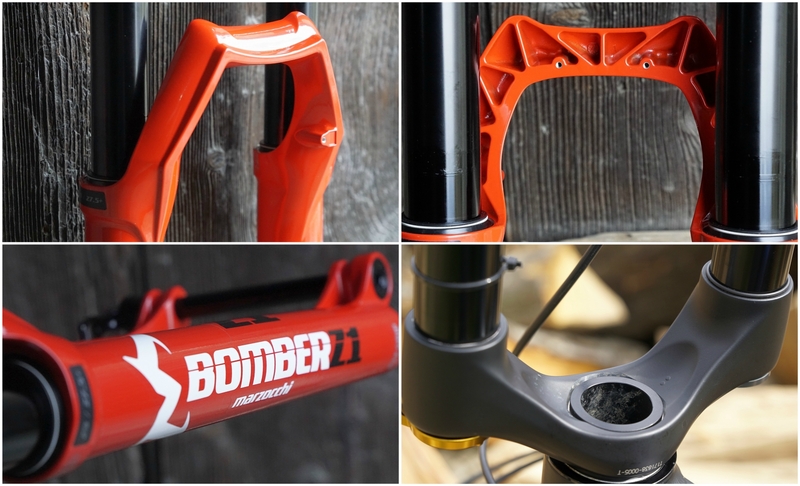 After the last difficult period culminated with the takeover by Fox at the end of 2015 and a rather slow new start, the 2019 Marzocchi line-up features a revival of the Bomber line, a name which will make some old-school riders jump for joy. Two models: the 58 with 203 mm of travel and 40mm stanchions – clearly gravity oriented, and the Z1, which we are dealing with in this article. One of the advantages of the Bomber Z1 is its price. In the US it comes at $699 USD. The Z1 uses Fit Grip Sweep technology, inspired by motorcycle forks and already in use on Fox Performance and Rhythm range. In comparison to the one we described in this article, the evolution of inner moving parts, seals and materials enhances sensitivity and durability. Thru axle: QR 15X110 mm (Boost). Kabolt axle available. Price: $699 USD, 899 Euro (Germany). 20 days weren’t enough to test durability, but we tried our best to stress the Z1, and we have a pretty clear idea about its behaviour. 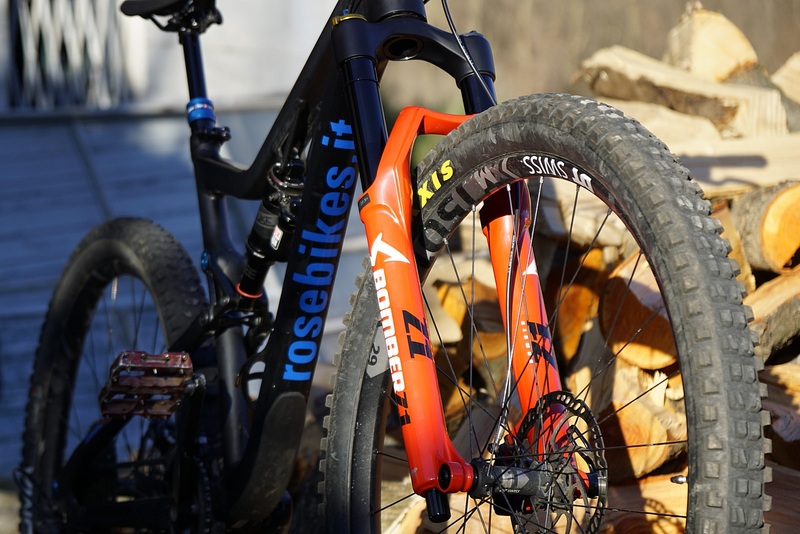 We asked the 29”/27.5”+ version with 150mm of travel and installed it on a Rose Root Miller, which we set to highlight its downhill side. Let’s talk about the fork “out of the box”. It features a massive 6000 series aluminum lower leg assembly with 36mm stanchions, an M-shaped brake arch with ribs and generous dimensions that convey a real sense of solidity. The other side of the coin is the heavy weight, 2294 g with uncut steerer and three spacers installed. The two threaded holes on the back of the arch brake may indicate the existence of a dedicated mudguard, which we never got, though. The thru axle weighs 92 grams, a sign that light weight was not on the menu (in comparison, the Fox 36 axle weighs approximately 75 grams). 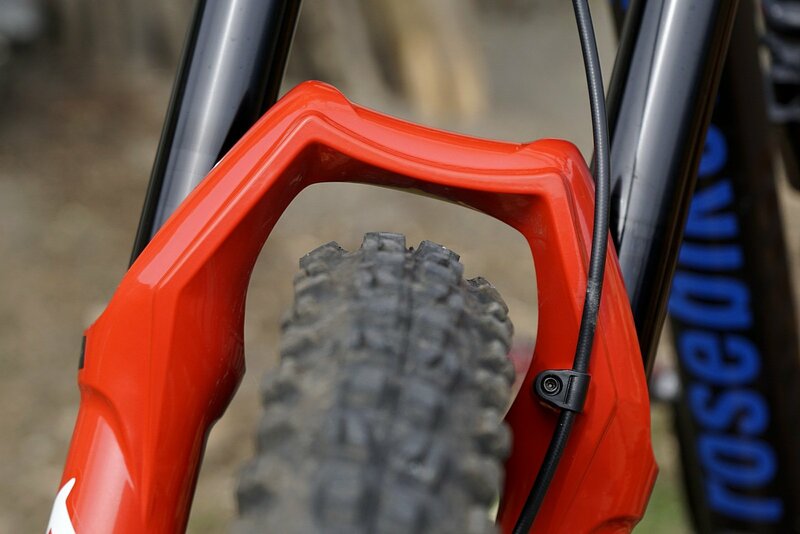 The tested fork has a quick release thru axle (the Kabolt axle is also available, it must be similar to the Fox light Kabolt). 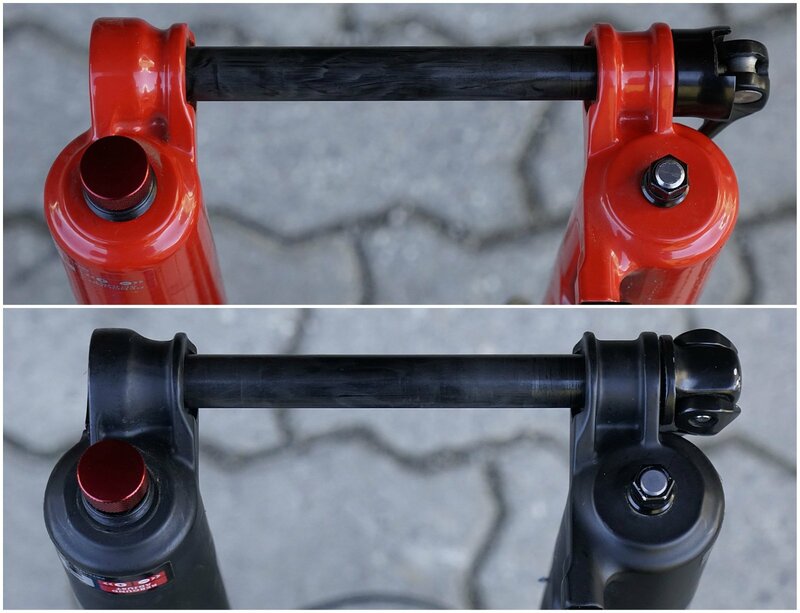 The axle resembles the old Maxle by RockShox because of a notch to insert the lever, which makes it easier to tighten it. The cut is shallower, though, and the new closing system doesn’t require you to tighten it that much before closing the lever. This means there’s no need to worry about rounding out the edges, as sometimes happened with the Maxle. There’s a lot of room for the wheel, since it has to fit also the plus format. In the picture is a 2.5” DHF Maxxis on a 30mm inner diameter rim. Fox left its mark, from the 36 in particular, in a lot of details. For example, the dropouts are almost identical, as is the rebound control, the classic red knob by Fox. 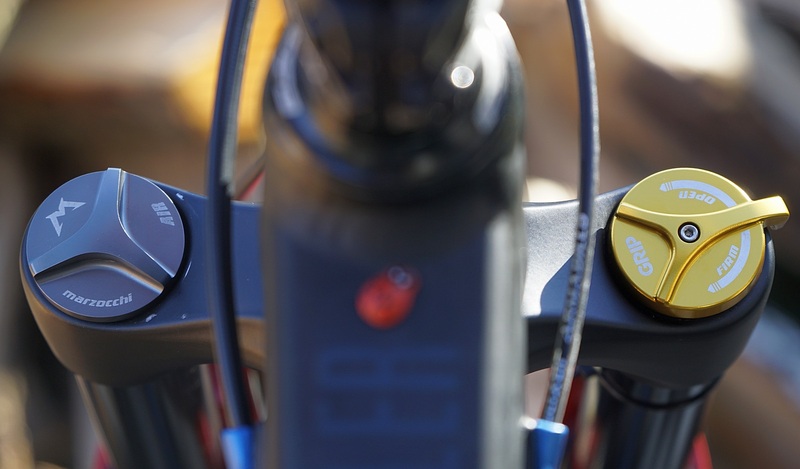 The hydraulic parts are on the right side, the rebound control is placed at the end of the stanchion, protected by the screw on cap just like on Fox forks. The range of adjustment is broad, and the 23 clicks provide plenty of options for fine tuning. At the top there’s the compression control, a big golden knob, very smooth, easy to use even with gloves or cold hands. The knob rotates by approximately 200 degrees and also in this case the tuning range is very wide: from an almost complete lockout to supple and soft. You can tell from a couple of things that the main purpose was the product as a whole, and not quite full attention to details, like some top-level brands can offer. First of all, the knob is not of the micro-adjust type, so you can’t record with absolute precision by counting the number of clicks quite as easily. The bottom out is adjusted by the knob itself which beats on the crown of the fork. These are small details which do not affect functionality. On the left side there’s the air spring element, that is the Float EVOL air sleeve. The classic Schrader valve is placed in the top part, covered by a large cap which is easy to remove thanks to its well defined edges. Removing the actual cap of the air chamber to manage spacers, though, isn’t as easy, since the classic 32mm socket wrench is too thick. Furthermore, the hexagonal head of the cap is so shallow that it is easy to round it out, both using the proper socket or hex-key. It would not be that hard to come up with a more “user-friendly” solution, and we hope it will be done. The volume, and therefore the spring rate, of the Float EVOL pneumatic chamber can be managed through volume spacers. The standard configuration of the Z1 with 150mm of travel has three spacers, and the maximum total number is seven. Air spacers are almost identical to the one of the Fox 36 in terms of shape and installation by wedging. The diameter, though, is slightly smaller, so if you need to adapt the Fox 36 ones, you need to shave them down a bit them a bit. Already after the first pumping sequences, it is clear that everything has changed since the last pre-Fox Marzocchi forks, which were a bit harsh and loose. The Z1 is super smooth and definitely not loose. 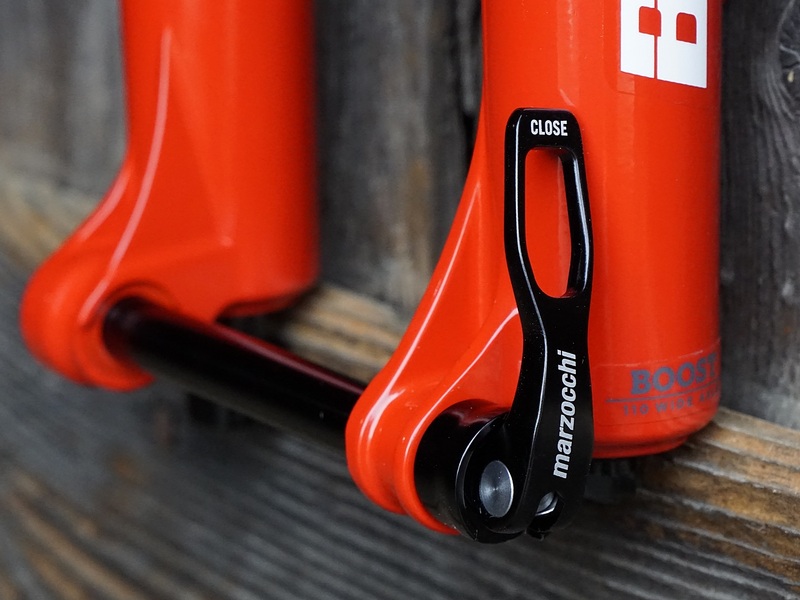 The new Marzocchi fork is not as race-oriented and hard on the arms as the old Fox 36 (click here to read about the new one). Since the structure is as massive as before, the enhanced performance is due to the increased smoothness and the Grip Sweep technology which, with the compression open, can satisfy even the most light and calm riders. In firm position the fork is efficient under climbing and provides good control on hard and steep terrain. 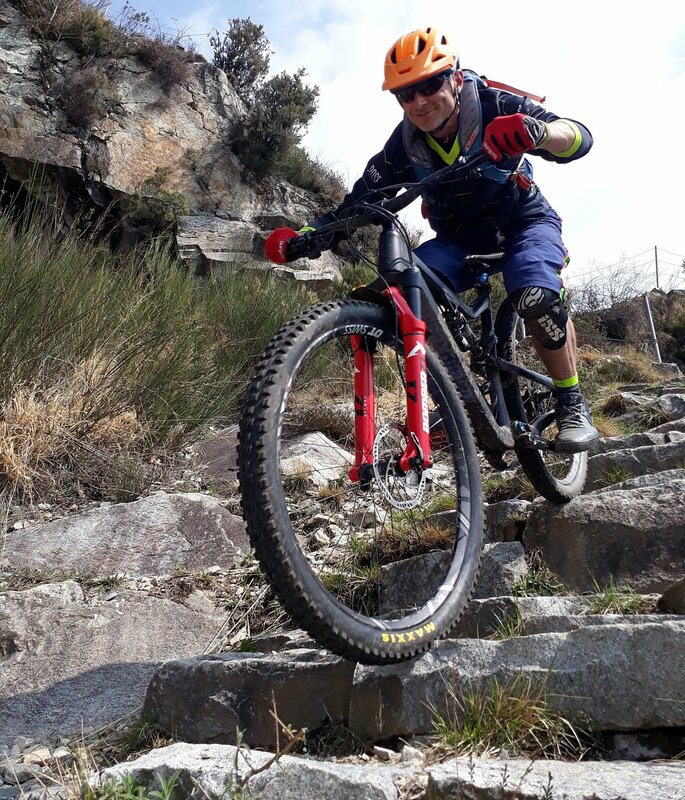 The Z1 has excellent behaviour on back to back drops or “square edge hits”: the new fork does not “choke up”, the behaviour is consistent and front wheel is glued to the ground. Regarding hydraulics, the separation of rebound and compression control is not the best, since when closing the former, you can feel also the latter is slowed down. Unless you want almost no compression control combined with a super slow rebound, it doesn’t affect the riding at all. All in all, hydraulics adjustments are simple yet effective, but, of course, you don’t get the level of sensitivity of the more advanced technology. As already stated, the 150mm version comes with three spacers out of a maximum of seven. With the standard configuration progressivity is good, but it doesn’t match my personal taste. I added one spacer right away, and the behaviour was better, then I added one more after some time to get even more support and progressivity. 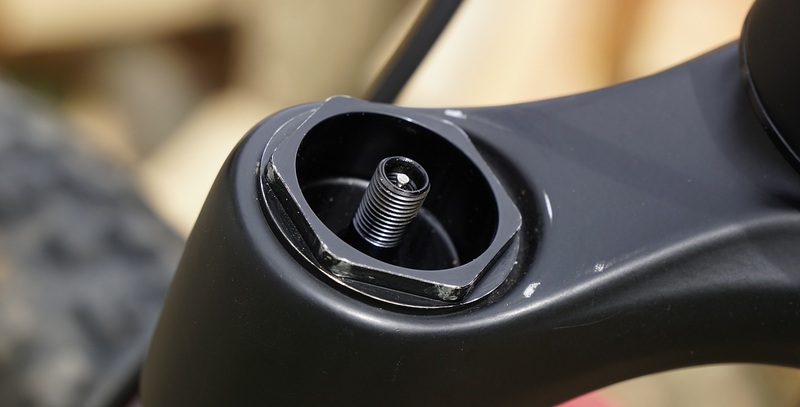 Apart from personal tastes, with seven available spacers there’s a huge range of possible adjustments, which can satisfy both easy and aggressive riders. High stiffness and a progressive curve with good support provide great precision and responsive steering, no matter if you are facing off cambers, extreme braking or steep nose wheelies. In the end, we can’t say much regarding reliability, but in terms of performance the Z1 can compete with the more famous models. 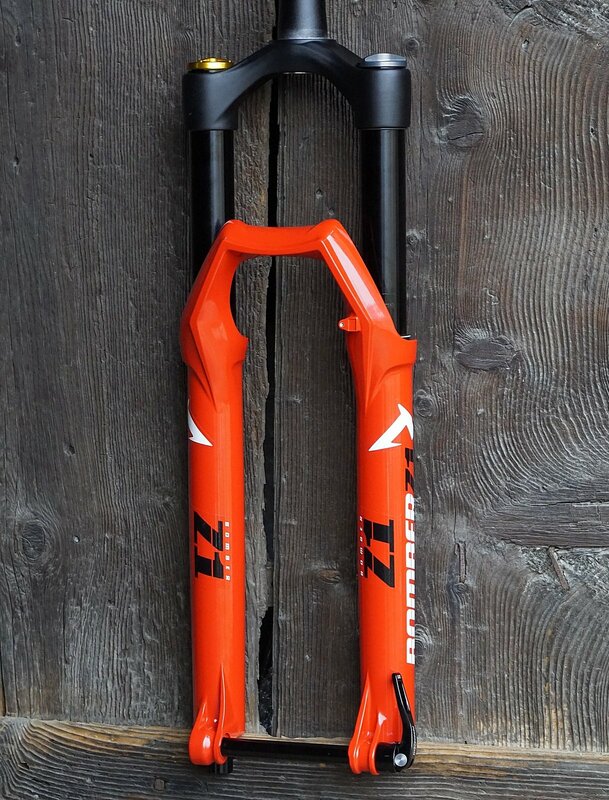 Thanks to the wide range of air spring and hydraulic adjustments, the Z1 is a chameleon-fork which can satisfy both mellow riders and the ones who like to send it. No frills, just facts, for all those riders who don’t care too much about weight.